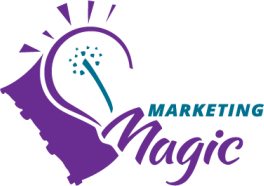 DISCOVER THE MAGIC OF MARKETING! Discover the magic of marketing knowledge. Below are some of the marketing seminars and marketing workshops we offer. We also offer custom seminars and workshops, tailored to meet your exact needs and schedule. Contact slichti@marketingmagic.ca to learn more about custom offerings. Effective presentation. Simple but highly understandable concepts. Excellent choice of examples. Fantastic and concise overview of marketing. I found all the information interesting and useful. Fast moving, entertaining, stimulating, thought provoking.